Jobu Reviews the Yankees huge series win against the rival Tampa Bay Rays. The Yankees don’t have many series left against teams with winning records. This was a big three game set against one of those teams, the Tampa Bay Rays. The Rays came into this series four games back of the Yankees in the division, and three games behind Baltimore for the second wild card spot, so they needed a win. The Yankees, meanwhile, needed to win to either extend or maintain their one game lead against the O’s and also to thin out the competition a bit by sending the Rays further down the standings. 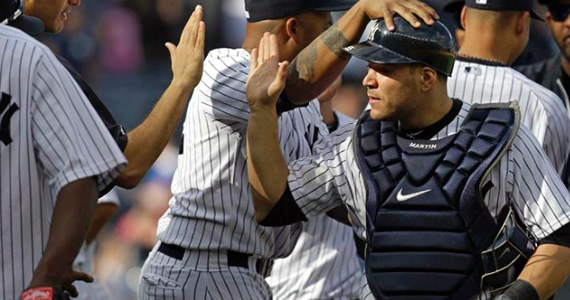 The Rays took game one, but the Yankees battled back to win the last two, and the big series. 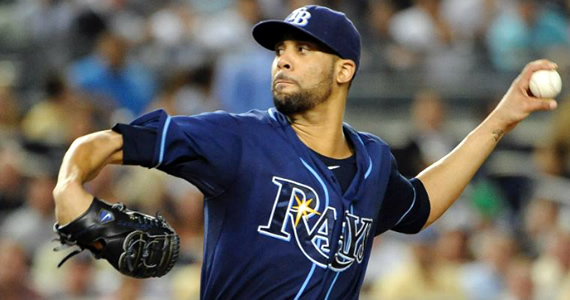 The Yankees sent “Ace” CC Sabathia to the hill in this game to face a real ace in David Price. Price pretty much proved why he’s one of the favorites to win the Cy Young award this year while CC continued to flounder about and the overworked Yankees bullpen put the final nails in the coffin, and the Rays won a close game. After his last start, CC came out and said that he felt bad because he felt like he was hurting the team and letting everyone down. I’m glad he recognized and admitted the problem, but I guess he wasn’t ready to actually do something about it, because he pitched poorly in this one as well. 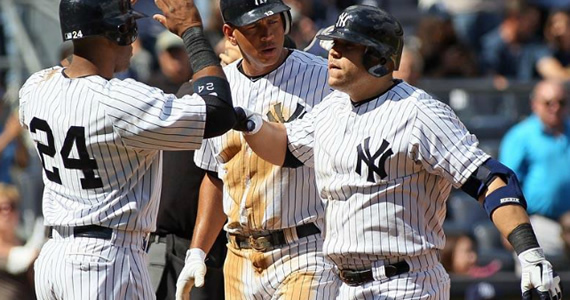 The Yankees handed CC a 1-0 lead in the second inning. At least he didn’t squander it right away. It took him all the way until the fifth before he coughed it up. That inning wasn’t pretty. 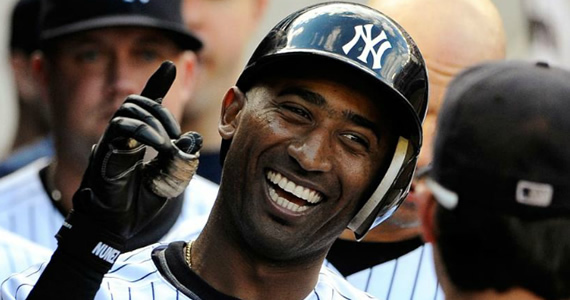 CC gave up three hits, walked two and even threw two wild pitches, and the Rays took a 3-1 lead. CC gave up another run in the seventh for good measure, and his night was over with the following stat line: 6.2 Ip, 6 H, 4 R, 3 BB, 2 Ks, 110 pitches and his sixth loss of the season (13-6). The Rays added a run off Cody Eppley, and Joba gave up an unearned run thanks to an error by Eduardo Núñez in the ninth, and that was it for the Yanks. It seemed like every time the Yankees made this a close game again, someone on the mound mucked it all up by giving up runs. Sure, the Yankees only scored four runs, but they were facing the AL’s probably Cy Young Award winner, and one of the better bullpens in all of baseball too. As a fan, I couldn’t really get all that upset about it. They got two runs each off of Price and Joel Peralta, but couldn’t beat the untouchable Fernando Rodney. Remember when he stunk? Has he been hanging out with Melky Cabrera lately? Sheesh. Yankees lose. Notable Offense: HR – Granderson (38), A-Rod (18), RBI – Pearce (18), Granderson (90), A-Rod 2 (52), 2 hits for Derek Jeter. This game was very interesting for one big reason. 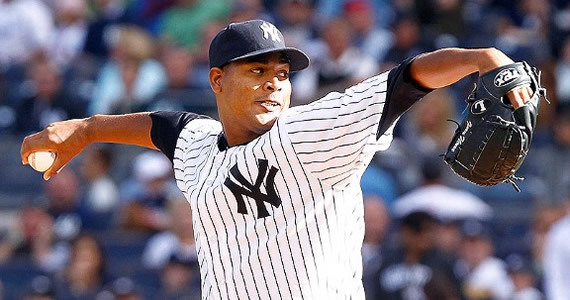 It marked the return of Iván Nova to the Yankees rotation. I for one, couldn’t wait for Nova to hit the DL after his last start (almost a month ago). He had been so terrible all year long, that any reason to get him out of the rotation was welcome. He went up against “Big Game” James Shields in this one, and the results couldn’t have been any better in the Yankees’ 5-3 win. It’s starts like these from guys coming back from injury that give us hope that this collapse will soon turn around for the Yankees. Nova was pretty damn brilliant in this game. The Rays could barely seem to even get on base, and didn’t score until Evan Longoria hit a solo homer in the top of the sixth inning. After a leadoff single in the seventh, Girardi took Iván out in favor of the bullpen (for once a perfectly timed removal by Joe), which allowed that run to score, and Ivan’s final line looked like this: 6+ Ip, 4 H, 2 R, 2 BB, 8 Ks, 85 pitches and his twelfth win of the season (12-7). More importantly though, he pitched better than he had in months. If he can somehow keep that up…. yooge. Don’t get me wrong, Shields wasn’t that terrible in this game. In fact, he really only had one bad inning, but the Yankees tacked on a couple of runs after that to seal the victory. It all started in the bottom of the second inning. Raúl Ibañez drew a big leadoff walk. After a fly out by Eric Chavez, Granderson came up and deposited a pitch over the right field fence for a huge two-run home run. It was Granderson’s 39th of the season, which is not bad for a guy who claims to not be a home run hitter. The next batter was Núñez who, after a big error late in game one, was looking for a little redemption in game two. He got that and more when he completed the back-to-back game by launching a home run of his own to left field to give the Yankees a 3-0 lead. The Yankees would add a run in the fifth on an RBI single by Jeter and another in the eighth on an RBI single by A-Rod, and would win the game 5-3 to even things up. Ah, the old rubber game. This was really a must win for both clubs. Unfortunately for the Rays, the Yankees had their number in this one. The Yanks had Hiroki Kuroda on the mound to face rookie sensation Matt Moore. Kuroda pitched well and Moore had one terrible, horrible, no good, very bad inning, and the Yankees took the game and the series, and may have left the Rays playoff hopes on life support. Kuroda’s stats for the game might not look that impressive, but he had some bad luck and one big bounce that didn’t go his way. He started brilliantly though, recording his first six outs by strike out and holding the Rays scoreless until the fourth inning, when Ben Zobrist touched him up for a solo homer. His one really bad inning came in the top of the sixth, when he almost let the Rays back in it. Hiroki walked José Lobaton to start the inning and Desmond Jennings followed that up with a single. Zobrist then walked to load the bases with nobody out for Longoria. Kuroda did what he needed to do, inducing a slow grounder to third from the big power hitter. A-Rod seemed poised to grab it for a double play, but it took a really weird hop at the last second and went into left for a two-run single. Kuroda then got a big double play from Matt Joyce (although the fourth run scored) and ended the inning with a strike out of B.J. Updon (Upton had four of those in the game). That was it for Kuroda, whose final line looked like this: 6 Ip, 4 H, 4 R, 2 BB, 10 Ks, 101 pitches and his fourteenth win of the season (14-10). Boone Logan and David Phelps worked a scoreless seventh (although Phelps had to dance around a couple of base runners with a big K), Robertson pitched a perfect eighth and Soriano clamped it down in the ninth for his 40th save of the season. Untuck your shirts, everyone. Yankees win. The bottom of the third was one of those magical “division winning” type innings that we just haven’t seen a lot of from the Yankees. It all started with Núñez, who really showed why he should probably be in the lineup more with his performance in this series (now if he could only catch and throw). Eduardo walked to lead off the inning and promptly stole second base. This allowed Jeter to single him in. Jeter moved to second on the throw home and was sacrificed over to third by Nick Swisher (remember him?) before A-Rod singled him in too. After a walk to Canó, Russell Martin had one of his best at bats of the season. After going down 0-2, Martin battled back, taking three balls and fouling off another pitch before getting a fatty fastball up and out over the plate on the eighth pitch. He didn’t miss it, popping it over the right field fence for a huge three-run home run. It gave the Yankees a 5-0 lead, which was pretty much all they needed. One other notable run scored, and it was all because of Núñez. He reached on a questionable error call (should have been a hit) to lead off the fourth. He then stole second and third and scored on a sacrifice fly by A-Rod. Talk about manufacturing a run, “speed kills” and several other small ball related terms that also apply! The Yankees don’t have anyone else on the roster that can play ball this way. It’s exciting to watch, when he’s not making a million errors at short. Anyway, Yankees win.